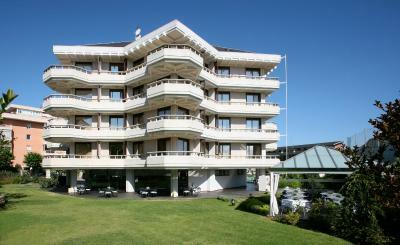 Lock in a great price for Gran Hotel Victoria – rated 8.6 by recent guests! 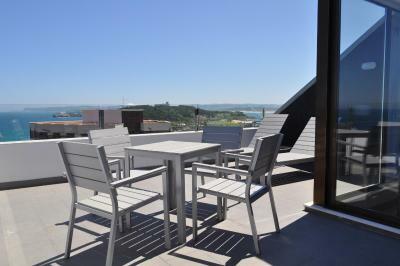 The LOCATION is the best, close to the Sardinero beaches and the Magdalena Palace, but very quiet. The hotel is very clean and the staff friendly. The views from some terraces are fantastic. This hotel is fabulous. 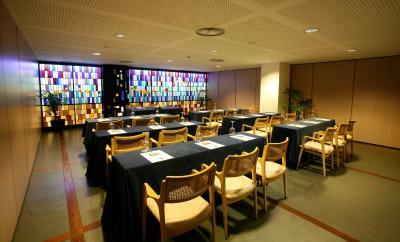 It is in a perfect location and the rooms are large with very comfortable beds. Bathroom also large and good water pressure with the shower. The staff are very helpful and the breakfasts are excellent and the menu of the day is terrific value. Would recommend this hotel and Santander itself. It is clean with wonderful beaches and lovely walks. The bus network is punctual and cheaper if you buy a card which can be loaded when required with a minimum €10. We took the bus to visit Bilbao and Guggenheim which is recommended but we are so glad we stayed in Santander and not Bilbao. This is the fifth time we have stayed here which says it all really. It is well situated, the rooms are lovely, staff are friendly and efficient, the breakfast is a delight and it has private parking. Location, easy to find from the ferry, which arrived in the early evening, and an ideal stop over for anyone in transition prior to heading south. Nice clean room and a pleasant dinner. This is our fourth visit to Santander and the fourth time we have stayed at Gran Victoria. 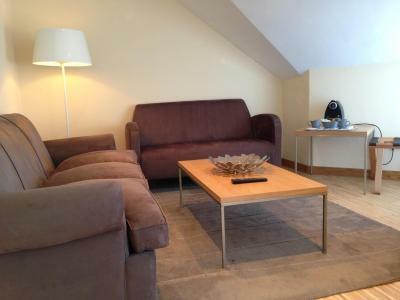 It is well placed, the rooms are very comfortable, it has lovely views and the staff are welcoming and warm. It has good private parking and the breakfasts are excellent. We had a beautiful view of the beach. We had to cross one street to get there! Everything about this hotel is excellent, Location, staff are pleasant and cannot do enough for you. Fabulous. Excellent breakfast. Beautiful & clean. Staff superb. Spacious. 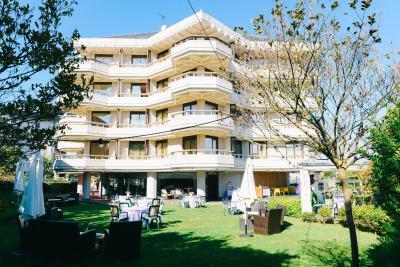 Gran Hotel Victoria This rating is a reflection of how the property compares to the industry standard when it comes to price, facilities and services available. It's based on a self-evaluation by the property. Use this rating to help choose your stay! 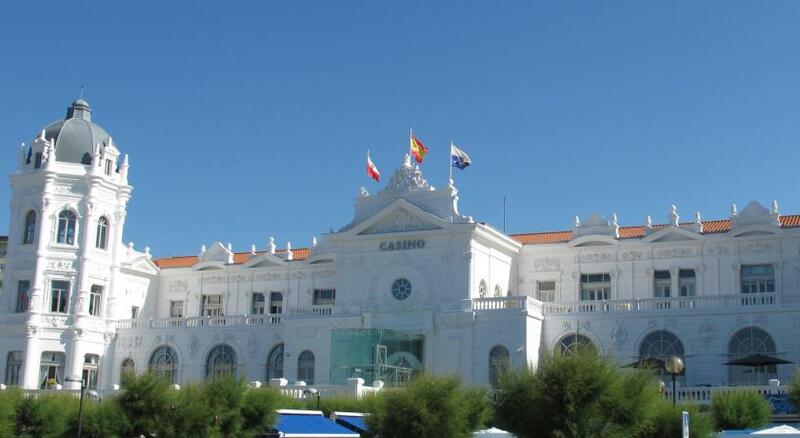 The Gran Hotel Victoria is located between Santander's Gran Casino and the Magdalena Palace, just 350 feet from Sardinero Beach. 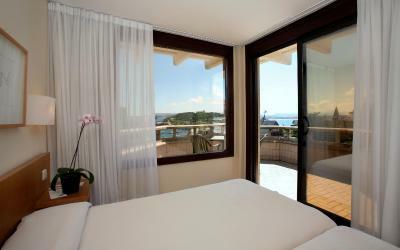 All rooms have free Wi-Fi and private balconies, most of which have sea views. Each room at the Gran Hotel Victoria is decorated with soft colors and has hardwood floors. 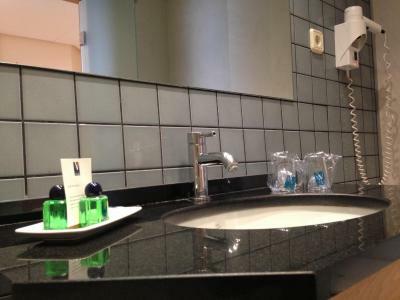 The rooms include a minibar, a safe and a private bathroom with toiletries and a hairdryer. 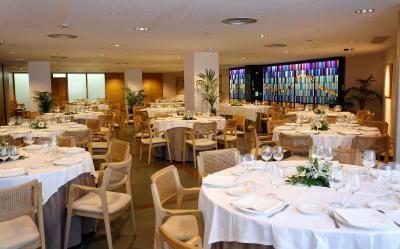 The Gran Hotel’s restaurant serves traditional dishes made from local produce, including fresh Cantabrian seafood. 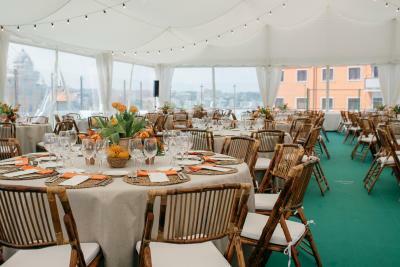 Meals can be eaten outside on the terrace. 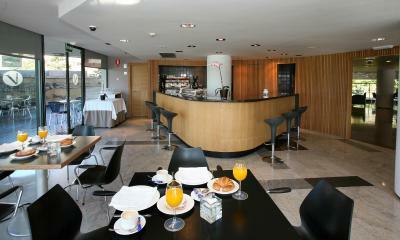 Gran Hotel Victoria is a 20-minute walk from the center of Santander and 2 miles from the city’s ferry port. Regular bus services stop near the hotel. 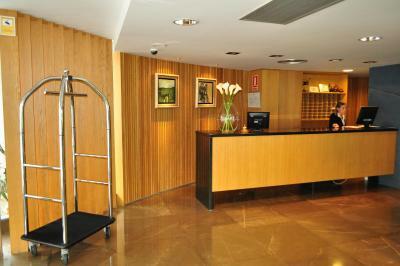 When would you like to stay at Gran Hotel Victoria? This air-conditioned room includes free Wi-Fi, a minibar and a safe. It has hardwood floors and a terrace. 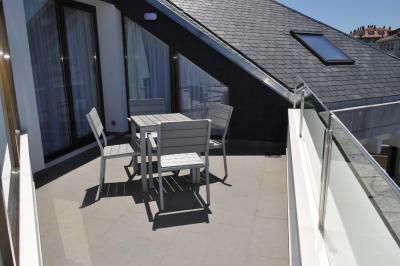 This spacious, air-conditioned suite has a furnished terrace with sea views, as well as a small sitting area. It has free Wi-Fi, a minibar and a safe. It has hardwood floors and large windows. 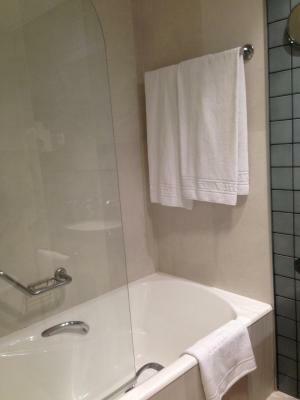 Some suites also have a whirlpool bathtub. Offer available on Friday, Saturday and Sunday. These 2 connecting Double or Twin Rooms have a terrace. 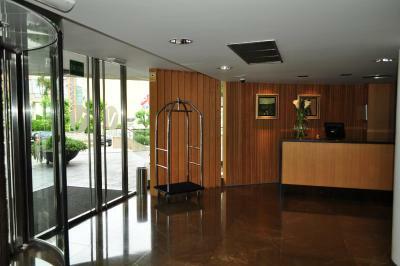 Both air-conditioned rooms include free Wi-Fi , a minibar and a safe. 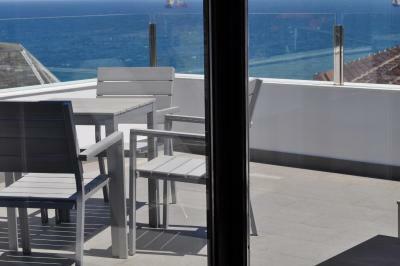 This modern Junior Suite features a private terrace with amazing views of the sea and all the Sardinero Beaches, from Cabo Mayor to the Magdalena Palace. It features free Wi-Fi, a TV and a coffee maker. 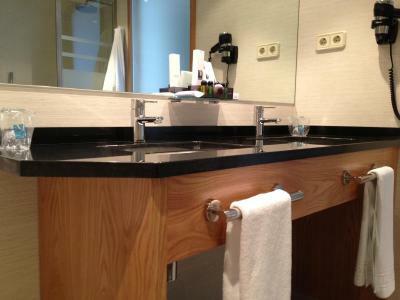 The private bathroom includes a separate bathtub and shower. There is also a lounge area. This double room features a balcony, mini-bar and air conditioning. This special offer includes a bottle of cava in the room, gala dinner, lucky grapes, and party bag, also buffet breakfast and late check-out at 13:00. This twin/double room has a balcony, mini-bar and air conditioning. 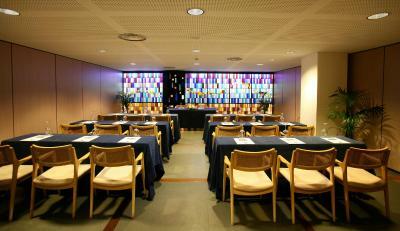 The special offer includes a bottle of cava, buffet breakfast, Special Christmas Eve Gala dinner. House Rules Gran Hotel Victoria takes special requests – add in the next step! Gran Hotel Victoria accepts these cards and reserves the right to temporarily hold an amount prior to arrival. No facial tissue (kleenex/ box tissue). No facial mirror in the room- only in the toilet. Not enough charging ports. The shower water pressure is not strong. The walls are not sound proof- we could hear people walking above us. The extra bed was extremely squeaky. We have no problems. We stay just one night each visit. The hotel is not right in the heart of the town but that does not bother us given our reasons for staying. This must have been our 4th stay so we are regular guests. Hard lessons have taught us that if you come off a late afternoon ferry the best bet-if you have a journey ahead-is to go into a hotel that's as close as possible and it helps if it is a good one. Then start your drive next morning.Bedrooms and beds fine. Good staff including restaurant. Excellent good value set multi-choice dinner including wine. Large very secure easy access underground car park. Huge buffet breakfast and offers to cook eggs to your taste and so on. Perfect for us! Perfect location for beaches, town and ferry port. Secure underground parking available at extra cost which was welcome. Spacious, modern, comfortable room with huge terrace. Exceptional value for money. Would definitely book again. Perfect location, good rate. Staff were excellent and friendly. Room with a view was fantastic and level of cleaning is brilliant. Beds mad every day and room tidied. Balancony over looking beach has amazing views. Breakfast was limited in range - maybe due to low season - but also not high quality for 4 star hotel. Large comfortable room. Big balcony with view. Friendly helpful staff. There was no tea/coffee facility within the room which is a must nowadays! Early morning cup of tea while awakening! We had the dinnner “menu of the day” in the restaurant and was disappointed by the quality of the food. It was poorly presented and not that tasty with the veal being deep fried and over cooked. Great hotel with good views. 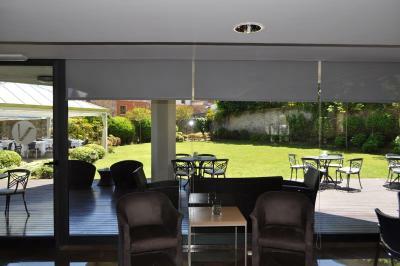 The property is well maintained and our room was of a good size.Very pleasant staff. Room was exceptionally cold despite noisy aircon running all night. Would expect better for hotel of this standard. Public areas were warmer than our room. Breakfast had poor selection, orange juice jug was empty. Waiter more interested in talking to another customer at the bar than ensuring food and drink was available. Only 1 plain yoghurt only 2 croissants available.